When you’re out looking for the best flower arrangement, it’s probably because you have something in your heart that you want to share with another. It is not the time for you to settle on second best. After all, what sort of message will that be sending to the receiver? While it may be difficult for you to find the information you need in time to get the perfect gift of flowers online, working with a reputable florist can help. A florist can assist you in figuring out symbolism, arranging the gifts in an attractive way, and can have them delivered to the recipient’s door in the nick of time. Picking out the best fresh flower arrangement can be difficult, but it doesn’t have to be when you devise a plan ahead of time. You shouldn’t have to put much effort into getting the perfect gift, and your lack of effort shouldn’t translate into you giving something embarrassing. In this day and age, you should have the best of both world, and you will if you keep a few key points in mind. First and foremost, you need to think about how much money you want to pour into a gift. Floral arrangements can sometimes be expensive, and even if you find a good deal you will still have to pay for it. Knowing your budget it an important part of this process. To cut down on the amount of time you spend going over your budget for this gift, take a look at what a few companies have to offer. Compare their prices and be sure you have enough money put back to buy the kind of gift you desire. If your ideal gift is too expensive, look for coupons and discounts wherever you can. 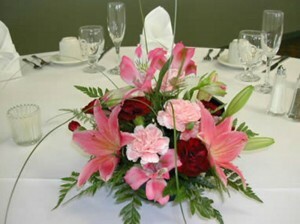 Keep in mind that the type of floral arrangement you end up purchasing should send the right message. Consider the occasion before getting your heart set on any particular gift. For special days with personal significance, it’s probably appropriate to give a romantic or thoughtful gift. On more casual occasions, you’ll want to pick out something a bit more premeditated. Remember that the ultimate goal is to put a smile on the recipient’s face, and it is not to further your own agenda. 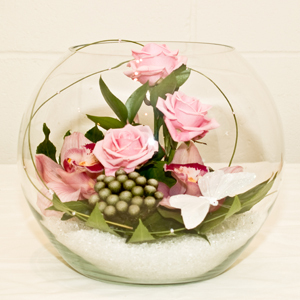 Think about the occasion that is currently being commemorated and pick out a floral arrangement that is suitable for it. Another thing to consider is the season in which you plan on buying your floral arrangements. Some flowers are more expensive than others regardless of the time of year, but other flowers can be acquired at a very low cost. At the same time, you might be able to find seasonal flowers for cheap if you look in the right places. Just try to remember that seasonal floral arrangements are typically more costly, but that doesn’t mean they’re automatically out of the budget. Seasonal considerations are also important when the quality of the gift is in question. After all, you wouldn’t give a bouquet of summer flowers to a person in the middle of winter. On the same token, you wouldn’t offer an arrangement of poinsettias for a birthday. Try not to forget about the reason for the season when you’re placing an order. Depending on the type of floral gifts you’re buying, it may be important for you to consider the amount of time you have. For special days that fall on particular dates, it’s essential that you get gifts out to the right person before the end of the deadline. Anniversaries and birthdays, for example, should be an occasion upon which you are punctual. Giving a late gift is tasteless, and it can really hurt someone’s feelings. Your time constraints have a lot to do with the clock as well, and not just the calendar. Some florists will deliver your arrangements the same day you place the order, but you have to finalize the purchase in time. Missing out on a special occasion because you are a few minutes late can be very frustrating. 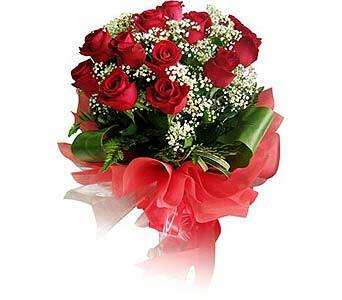 Once you find the florist of your choice, be sure you’re aware of their business hours and delivery policies. When giving the gift of flowers, it is vital to understand the various symbolic meanings behind each bloom. Giving the wrong person a bouquet of red roses could create a pretty sticky situation. 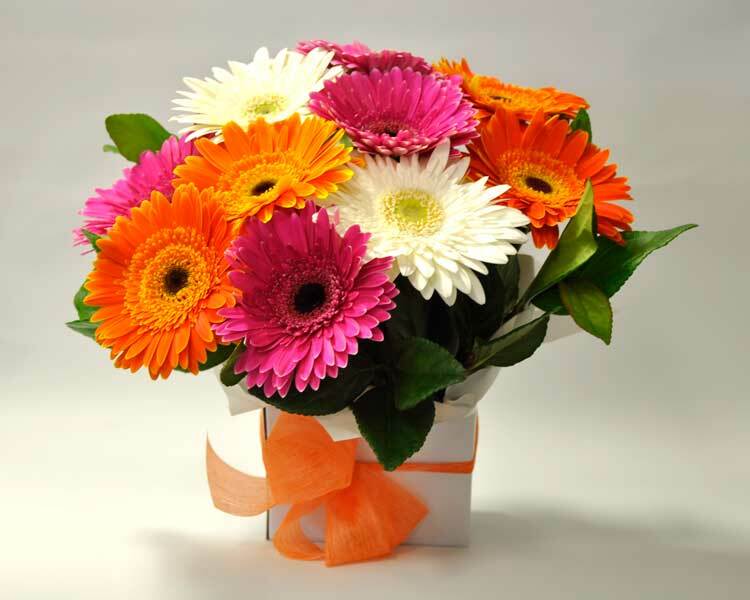 At the same time, offering someone an arrangement of bright and sunny flowers at a funeral might seem disrespectful. Try to get to know what the symbolism is for each type of flower before you buy anything. I like what this article mentions about the seasonal conditions. I think that getting summer themed flowers during February or March could be a little out of place. I’ll have to look into what might work best for this time of year. Thanks for the post! I liked what you said about finding flowers that are in season. It does seem like a good thing to be aware of when you need to get flowers for someone. My sister loves lilies and I wonder what season those are in right now. Yes, correct many people get away with the current ongoing trends losing what exactly the purpose of the flower is!! Discussion with an experienced florist solves many problems. Thanks for the info. I want to get my mom a flower bouquet for her birthday and I have never bought a bouquet before, so I am glad that I found this article. I like that you say to first think about your budget so that you are looking in the right price range. Also, I appreciate that you say to think about the symbolism behind the types of flowers that you choose because I want to make sure that I choose flowers that show how much I appreciate my mom. I appreciate it when you said that when it comes to flower arrangements, seasonal flowers are more costly since they are not around all year. That makes them all the more special if you’d ask me. Since the person who will receive the flower is my best friend as a sign that I am reciprocating his love, I want it to be special. Maybe I will ask a professional about the best seasonal flower that symbolizes love. It got me when you said that I need to consider the occasion first before sending the bouquet so that we can be sure that it sends the right message. I do not know much about flowers, so I think it will be a better idea to ask the flower arranger to choose the right ones for me. My sister’s birthday is coming up, and I want to send a flower bouquet that says I’m thinking about her, I will ask a professional to decide on the flowers for me. Thank you for pointing out that floral arrangements can be expensive and that setting the budget for it is an important part of the process in order for it to be a success. I will mention this to my mom since she is the one who wants a flower arrangement sent over to my aunt. The budget thing might get her interest since she has always been very strict when it comes to expenses.